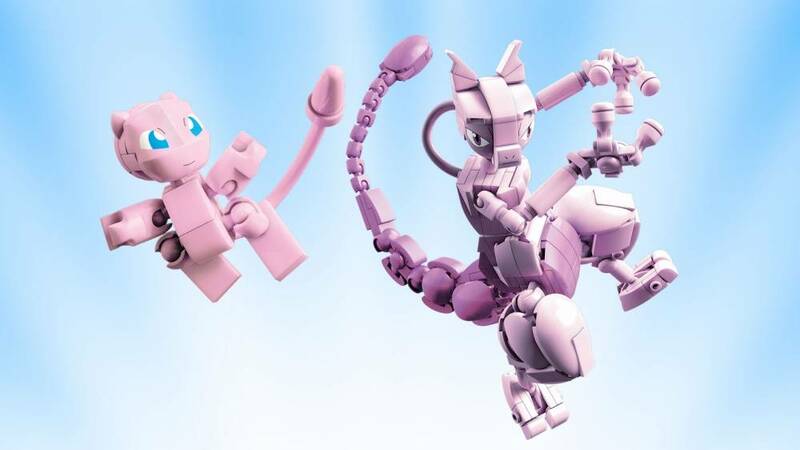 Build the power of an iconic psychic rivalry with Mew and Mewtwo! 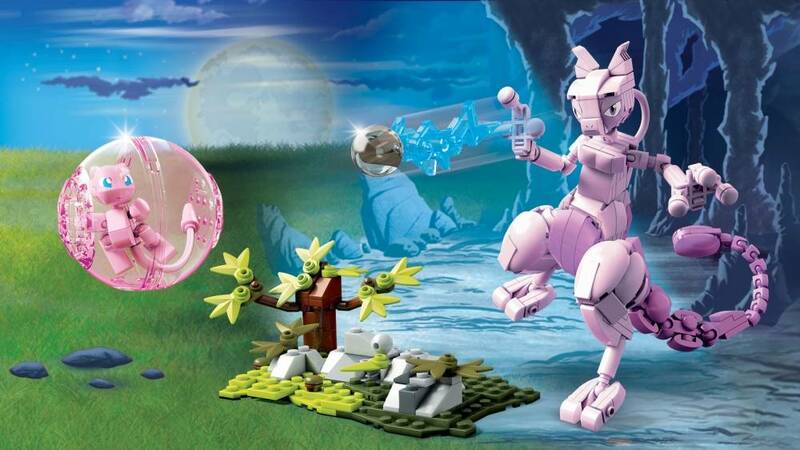 Mythical and Legendary Pokémon face-off when you build a battle between Mew and Mewtwo! 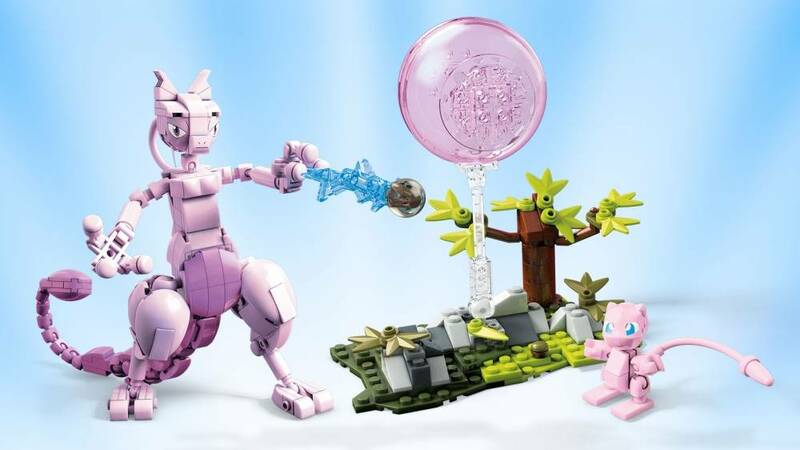 First, prepare for battle with a 2-inch Mew, complete with articulated arms, legs, and tail. 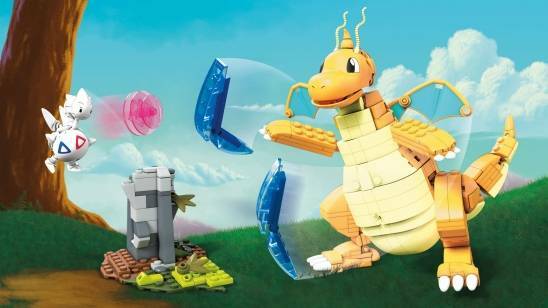 Next, build a 6.5-inch, poseable Mewtwo and unleash a Psychic-type attack with the buildable battle effect detail. Sit Mew in the transparent sphere for defense. 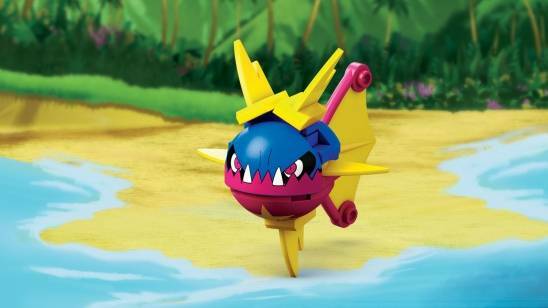 Then, set the scene for new battles when you display your Pokémon in different poses!